Australians spent $9.3 billion online in the first half to June this year - a 21.5 per cent increase on the same period last year, according to figures in the 2015 First Half Online Retail Report released by Australian online payments provider, eWAY. The company, which claims to processes a quarter of all online payments in Australia and power more than 19,000 eCommerce stores, reported a total Australian full financial year 2014-15 spend of $18.3 billion. And in good news for the federal government, eWAY reported Australia’s online spend on office equipment increased 57.7 per cent in the first half of 2015 compared to the same period last year, as a result of the $20,000 small business instant tax deduction announced in the Federal Budget. eCommerce grew steadily throughout FY2014/15, finishing particularly strongly in June. eWAY reported a 21.7 per cent month-on-month growth in sales between May to June 2015 - compared to a 15 per cent growth from May to June in 2014. Founder and CEO, Matt Bullock, said Australia’s online activity jumped in June right before the end of financial year, straight after the Federal Budget was announced. “The spike seems to be related to the new Federal Budget allowing small businesses to claim instant tax deductions of up to $20,000, which also removed fringe benefits taxes on electronic company equipment,” he said. Sales to international delivery postcodes increased 35.5 per cent throughout the first half of 2015 compared to H1 2014. Sales to international postcodes grew as Australian dollar exchange rates lowered. 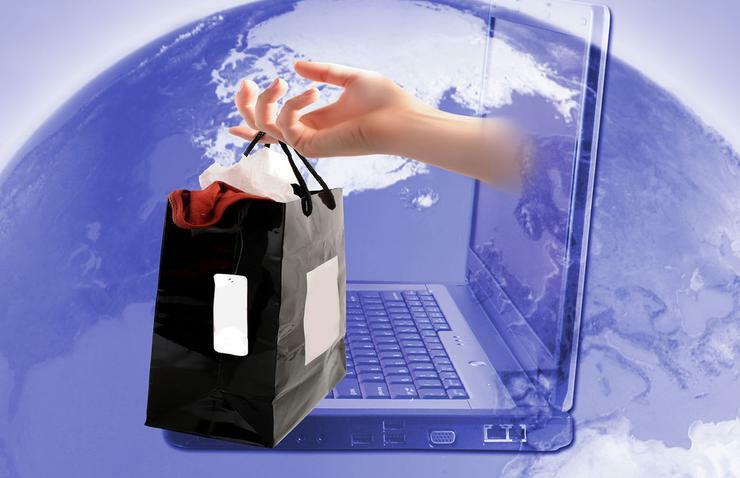 Australians are joining other countries and doing their online shopping during their daily commute. Thursdays were the best day for online shopping; the same day bricks-and-mortar retailers have their longest trading hour periods. While still significantly outpacing bricks-and-mortar retail store growth, the rate of growth year-on -ear is slowing compared to previous years, which eWAY reported growing at rates of up to 35 per cent. According to the payments provider, the report indicates that 2015 is heading to be a record year for Australian eCommerce. “Even though more and more Australian businesses are now selling and accepting payments online, the sector still has significant growth potential,” Bullock said. “In the past six months we’ve signed on an additional 3000 small businesses to eWAY, some of which are in industries that don’t traditionally accept online payments, such as plumbers or builders. “A mix of seasonal sales, the end of the financial year and the Federal Budget 2015 skyrocketed online transactions in June. With the Australian dollar going down substantially during this half, the transaction volumes of physical purchases sent to international postcodes were up 35.5 per cent. “There is a clear window of opportunity for small businesses to open up their offering to global markets, if they haven't already. The increasingly sophisticated and cheap postage services make this more feasible than ever. “Year-on-year the growth of spending online continues to amaze me. Australians have such an appetite to purchase goods and services online and Australian retailers are really starting to mature in this space now."